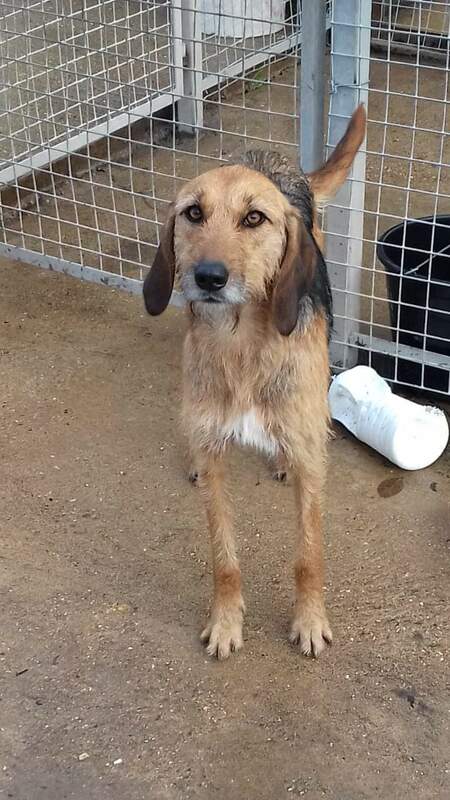 Meet Kite shes 2 yrs old Otterhound cross female. Kite is ex puppy farm so is nervous, She is very loving but shy. Excellent with other dogs and would prefer to live with another dog. Possibly would be OK cats. She will be OK with quiet children. If interested please call the rescue.